Along with lavish banquets for weddings, Mumbai also offers several smaller halls which are perfect for hosting pre-wedding ceremonies, anniversary parties and other social events. While these banquet halls in Mumbai are equipped for larger gatherings, they also offer all facilities for smaller parties. Today, we have 6 six halls in Mumbai for small parties, lined up for you! Apart from gorgeous interiors and unparalleled service, these venues also offer delicious food and stunning decor services. With all these services and more, these banquet halls in Mumbai will surely impress you and make your event a memorable one. Located right across the famous Siddhivinayak Temple, Kohinoor Hall & Banquet, Prabhadevi is a much sought after banquet hall in Mumbai. Along with a gorgeous carpeted banquet hall, they also have a spacious terrace where you can organize parties. Their experienced staff will make sure that your guests have an enjoyable time and make your event a memorable one. Famous among both locals and outstation guests, Neelyog Banquet in Ghatkopar is a great venue for all gatherings – whether small or large. This banquet hall in Ghatkopar also has an experienced team of caterers and decorators who can make your event truly special. Neelyog also offers a terrace party area which is perfect for evening parties and events. If you want an evening of fun and entertainment with your loved ones, the experienced staff at Karisma can make your event exceptional with a delectable feast and beautiful decorations. This banquet hall in Kandivali has a hospitable staff that takes good care of your guests and makes sure that they are comfortable at all times. Whether you have a small party or a large gathering, Club Aquaria, Borivali can make every party memorable. This banquet hall in Borivali has a banquet as well as a terrace party area – both of which can be customized and decorated to suit your occasion and theme. Their in-house team of decorators and caterers can ensure that your event is complemented by the perfect decor and a lip smacking feast of delicacies. Mauli Grand, Mira Road (East) offers multiple banquet halls in Mumbai and can host any party – from kitty parties to wedding receptions. The efficient team at the venue can decorate the hall to suit your occasion and ensure that it is as beautiful as it is functional. While you enjoy the event with your family and friends, their catering team will whip up a delicious feast for you and your guests. 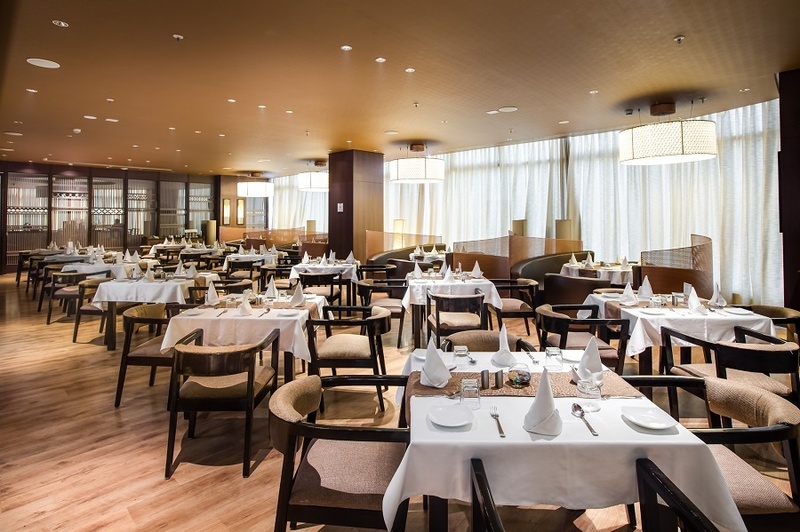 The pillar less banquets at Bayleaf Banquets, Vasai are as elegant as they are functional. The space can be customized to suit any requirement, making it an ideal choice for all parties – big or small. Their decorating team uses drapes, flowers and other accessories to make the space fit for a party. While you admire the decor arrangements, the catering team of this banquet hall in Vasai will delight you with a sumptuous feast.